Garlic powder can be used to flavor almost any dish. If you enjoy cooking anything with an Italian flair, garlic powder is a must. This is simply dehydrated and pulverized garlic that you can keep on hand for many months, so buying in bulk might be a good idea. In addition to Italian dishes, you can flavor any type of meat with garlic powder, including chicken, beef, and pork. Garlic is truly a universal flavor that can liven up any dish. Dried herbs are another spice that should be in your pantry. Dried herbs are a great way to add some fresh flavor to a dish when you do not have fresh herbs on hand. Some staple herbs you should have are parsley, oregano, basil, and rosemary. Any of these can add amazing flavor to baked chicken, pork loin, soups, and casseroles. They can store for a very long time while retaining their flavor. Basil is especially delicious in marinara sauce or tomato soup. If your family enjoys southwestern dishes, there are two primary spices you should always have in your pantry. Chili powder is a very versatile spice that can truly kick up a meal. Chili is an obvious use for chili powder, but you can use it in so many other ways, such as in taco soup, enchilada sauce, and shredded chicken for burritos. Cumin is another popular southwestern spice that is great to have in the pantry. You can save the money that you would ordinarily spend on taco seasoning packets if you keep just cumin on hand. It’s a very smoky spice that is prevalent in southwestern and Mexican cooking. It is used in any meal that would call for taco seasoning, along with salt, pepper, oregano, and garlic powder. Onion powder can really pack a punch when it comes to flavor. If you are not a fan of onions because of their texture but still want that flavor in your food, onion powder is the way to go. You can add this seasoning to virtually anything. It is great in beans of any variety, in soup, and on any cut of meat. Onion powder is quite mild but very flavorful, and it enhances nearly any dish. Keeping a nicely stocked pantry is essential to making any meal great. 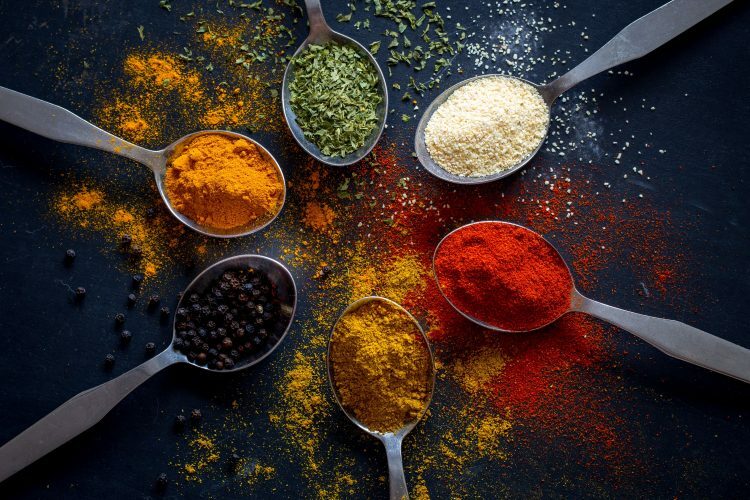 Adding dried spices and seasonings help to punch up any recipe with very little out-of-pocket costs. For more money saving and cooking ideas, be sure to visit the iRazoo blog.